This Monday’s weather, much like last week started off frosty then turned into a glorious day. We returned to the farm which we had to abandon due to rain on Thursday and finished off the lambs there. I think i had the Monday blues because for some reason I struggled. I took this picture when I first arrived and the ground was still frozen. 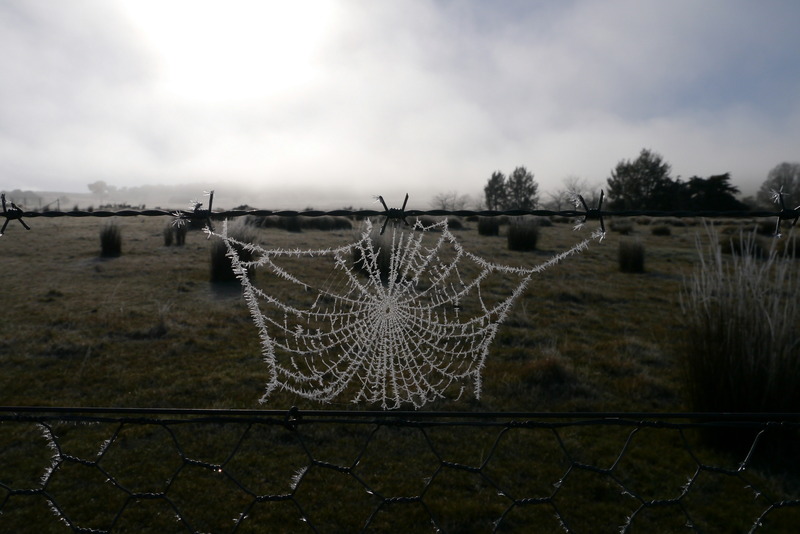 I noticed the spiderwebs on the barbed wire fence were also frozen so i had to capture their beauty. 27 Aug	This entry was published on 27/08/2012 at 12:14 and is filed under Uncategorized. Bookmark the permalink. Follow any comments here with the RSS feed for this post. I can hardly believe this is real !! I know 🙂 imagine how happy I was when I saw it! That is something special right there!